Split is a city on the Adriatic coast located in Central Dalmatia (220 km northern of Dubrovnik). It is the largest Dalmatian city and the second-largest city of Croatia. With new trains, new air routes and dozen of ferries and buses, Split is becoming one of Croatia's prime points of entry. Most of the central Dalmatian islands are only reachable via the Split port (Brac, Hvar, Solta, Vis, Korcula, Lastovo). When it comes to travelling from Split to Dubrovnik there are several options: by catamaran, by plane, bus or car. For travelling between Split and Dubrovnik by sea, you can choose from two companies that run catamarans between these two coastal cities. One of them is Krilo which offers two different routes. One departs from Split and runs via Brac (Milna), Hvar (Hvar town), Korcula, Mljet (Pomena) to Dubrovnik. Another sails from Split via Brac (Bol), Makarska, Korcula, Mljet (Sobra) to Dubrovnik. Both catamarans depart from Split in the morning and return from Dubrovnik in the afternoon. For detailed sailing timetable, prices and online booking check official Krilo web site. Another option would be taking Jadrolinija's catamaran which departs from Dubrovnik in the morning and stops on Korcula, Hvar, Bol (Brac) on the way to Split. Sailing time to Split is around 4 hours. Catamaran returns from Split in the afternoon hours the same way. Starting on 9th June and running until 18th September this new route will run daily. Detailed sailing timetable can be found here. 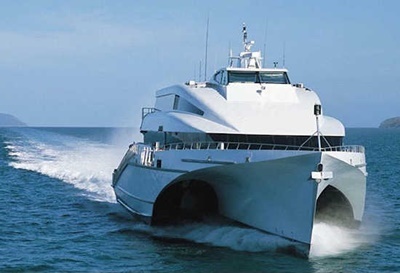 Tickets for this catamaran can be booked on Jadrolinija's web site. These two Croatian coastal cities are connected by numerous buses that run daily. Journey time is around 4 and a half hours but note that in peak season (July and August), journey may be delayed if the coastal road is especially busy. The route stretches through a part of Bosnia & Herzegovina (called neum corridor), so keep your passport handy to show to custom officers. This is only a transit route so you won't need a visa for the country. 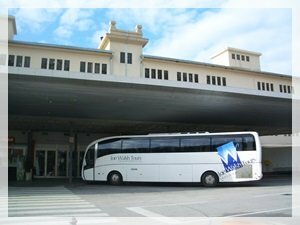 Check the latest and accurate schedules for the route on Split Bus Terminal website. Travelling between Split and Dubrovnik by bus is very easy and comfortable. There are buses throughout the day starting from early morning until late evening. The buses takes the coastal route and usually stops in the towns along Croatian coast (Omis, Brela, Makarska, Ploce, Metkovic). The trip takes from 4 to 5 hours depending on the company (Croatia Bus, Autotrans Rijeka, Panorama Bus, Promet Sinj, Cazmatrans, Promet Makarska, AP Varazdin). Check the latest and accurate schedules for the route on Split Bus Terminal website. Tickets for this route can be bought at bus stations in Split or Dubrovnik. Bus tickets can be purchased online for Croatia bus and Autotrans departures. Trade Air have twice weekly flights (Tuesday and Thursday) between Split and Dubrovnik. Flight time is 40 minutes. Another option would be travelling between Split and Dubrovnik via Zagreb. Flights are available several times a day. Book your plane tickets for both Trade Air and Croatia Airlines flights via Croatia Airlines official web site. If you decide to drive between Split and Dubrovnik, there are two options - either the scenic coastal road for the whole route, or inland on the A1 motorway as far as Ploce where you need then drive towards the coastal road to continue the journey. The coastal road can be very busy during the summer months.